My Cluttered Corner: Imaginisce Wrapping with The Twinery - with Giveaways! Imaginisce Wrapping with The Twinery - with Giveaways! 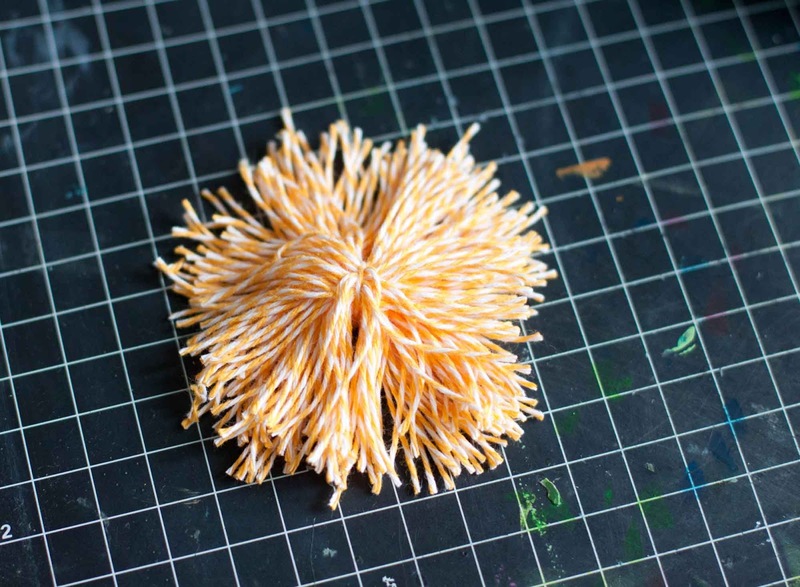 Voila, quick and easy pom pom! and 3 other lucky ducks will win the Imaginisce Makin' Waves collection ($37) just in time for summer! In order to win to you must also follow the Imaginisce Blog and The Twinery blog and the Imaginisce and The Twinery Facebook Pages. If you would like to leave a second comment here on my blog you can tell me you are a new follower or that you already follow. All winners will be announce on Monday April 23rd on The Imaginisce and The Twinery's blogs. 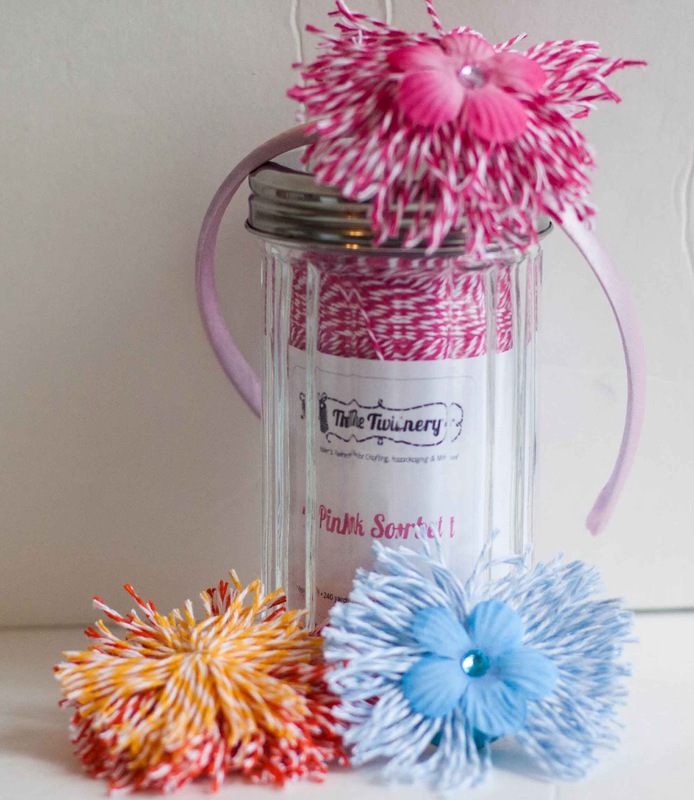 Love the pom poms, they are awesome and now that I saw your instructions, so easy to make. Thank you!! Love Love the Wreath the color of the Twine is great . love the pompoms very cool Idea you can use them for so many things. thanks for sharing and for the chance to win. Oooh, what a pretty wreath, and I love the hair accessories, too! Simply stunning...I am so going to copycat this, Rebecca hehehe! These are great! What a bright and gorgeous wreath and I LOVE the hair things! 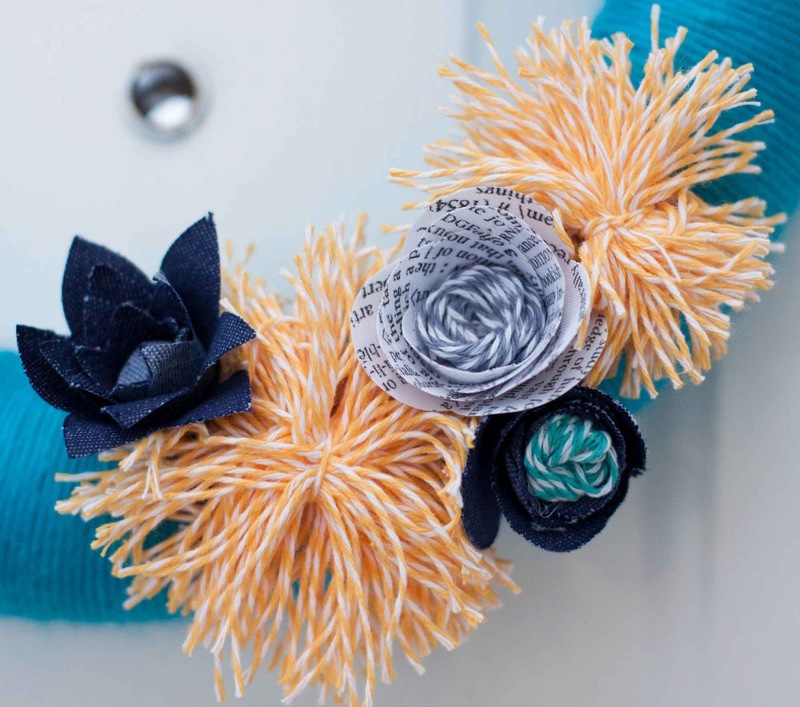 Thanks for the how to on the pom poms, this is a great way to dress up any projects!! OH MY GOODNESS, I love the hair bow idea!!! THank you so much! What a neat wreath. I love how you did your pom-pom's will have to try that. Love this and thanks for the tutorial. Awesome. As always LOVE your projects and the pom poms are awesome! Rebecca, I am so glad I found you on this hop. I'm your newest follower and looking forward to checking out your blog some more. Loving the Twine pom poms!!! Love the pom poms! Great to use on so many things!! So cute. I definitely want to try some of these. OMG those pom poms are awesome!!!! 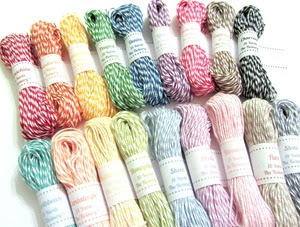 I have a little girl and you can be sure she will be wearing some in her hair very soon,especially if I can win some Twine!! The pom poms are awesome!! What fabulous projects! Thanks for the reminder on how to create pom poms...I haven't done that for years. They make an adorable headband accent! i love the idea of the hairband! 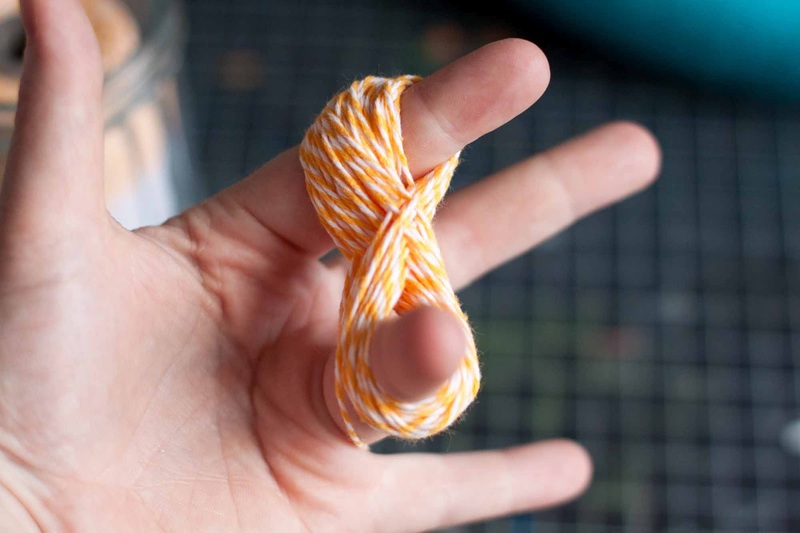 Great ideas for use of twine. How creative. Would love to make those headbands for my grandaughters. Thanks for the ideas. Cute! Great ideas! Thanks for sharing! Wow!! Loving all of the super cute ideas for all of the twine flowers!! That hairband is fabulous!! such CLEVER projects Rebecca--love them! Wow love these ideas! Such amazing projects and love how you have used the twine! Love what you made with the twine! So clever! love, Love, LOVE how you showcased the twine! I want to make the headband for my little one! I just became a new follower! Looking forward to more inspiration! nice projects...especially the hair bands! thank you for sharing. Can't wait to make the pom poms for my grandaughter! 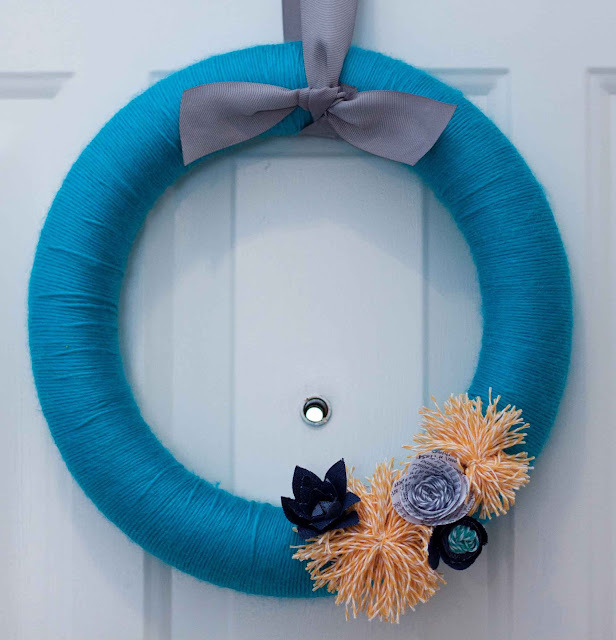 Very fun pom poms for the wreath and hair accessories. 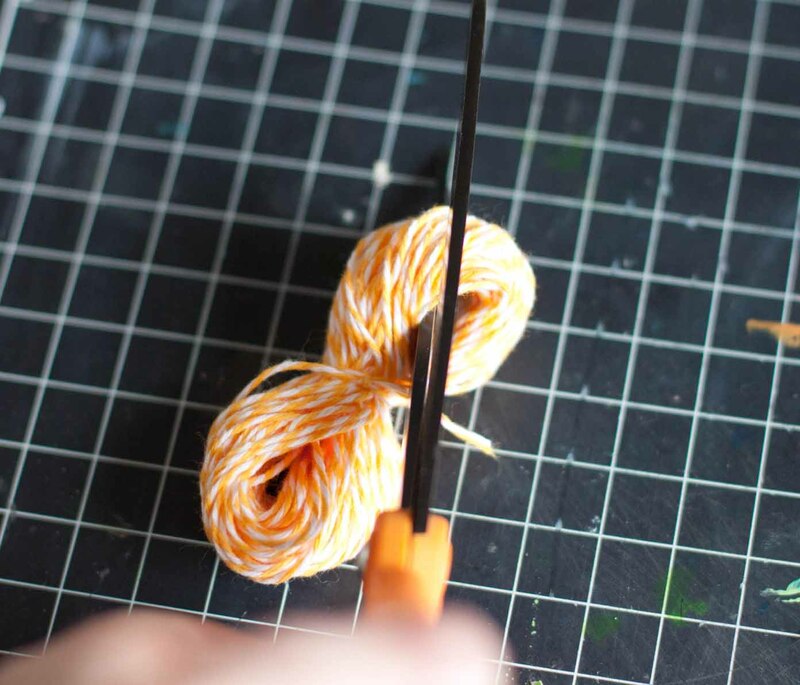 Rebecca...This is such a delightful post and the projects are absolutely fun! 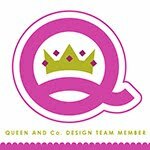 On behalf of The Twinery, it's so great to have you designing with us! Your pom poms are amazing. Love them. Thanks for the tutorial on how you made them. 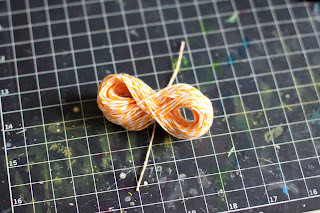 Adore these projects...especially the headband adorned with The Twinery twine! 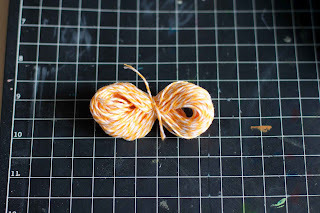 Thanks for the tutorial on making pom poms out of the twine...so fun! Get on outta here - those are so cute! What a cute wreath. Thanks for the tutorial! Love the pom poms! They are so cute, especially on the hair bands. Brilliant and oh so fun! 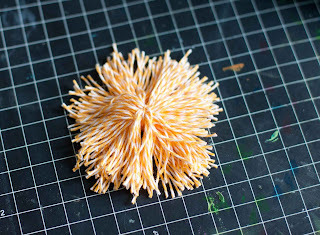 Those pom-poms are so darned cute, I'm going to make some. The pom-pom's with the little flowers on the headbands are awesome and another idea for me to make some. I've been making some fabric flowers but those would be ideal. Thanks for great ideas. Wow, your wreath is fabulous but I am loving your super cute headbands.. Such a fun idea!! 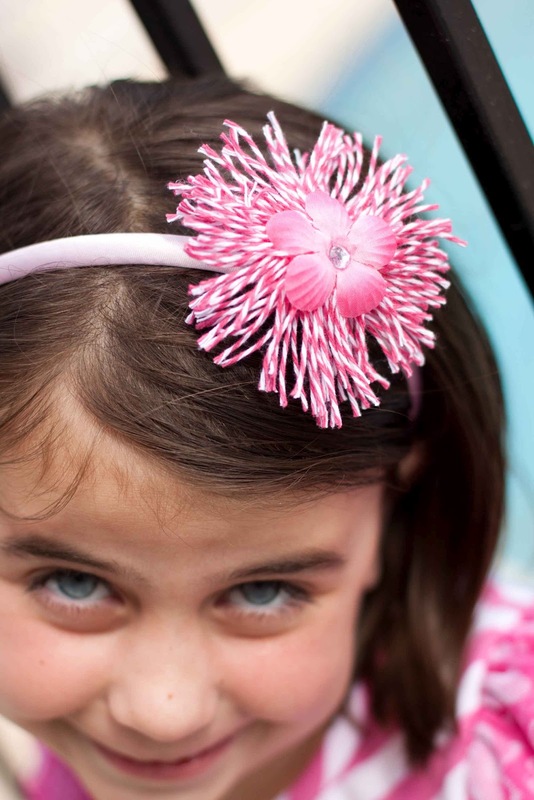 I know two little girls in my home that would absolutely LOVE a headband like that. I may have to make them some soon. Thanks for the inspiration!! The wreath is stunning! I love the pom-pom flowers, very cool! Love the wreath but wow the headband with your beautiful model and the Pom pins are great! TFS! Woo for pom poms! good job! Great idea for twine. Very creative. have become a follower and thanks for all the fun. That headband is so adorable! The wreath too! Love both these projects!! Pinning!! So many possiblities!! Love it!!! Love the twine pom-poms. How Cute! 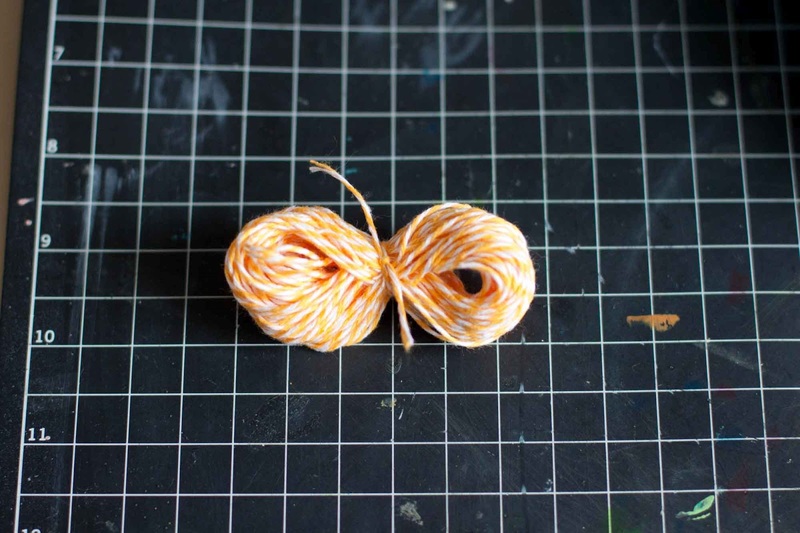 I like your figure 8 method for making the twine pom poms. You're so smart! I just looove the ideas! I'll try them at home, thanks for sharing! Adorable. I love the colors. Great flowers and great lil pom pom's I am taking this idea with me. Thanks so much. Love, love, love the pom-poms - too sweet! Thanks for sharing in the blog hop!! You are so creative! I love all your Pom poms! Thanks for the quick mini tutorial. Definitely going to be trying to make some! Thanks for sharing. Those pom poms are so adorable! I love them! I really need to have a daughter now, please. Hi Rebecca. I just adore those pom poms. They especially look beautiful on that hair band. Thanks for sharing this wonderful idea. Rebecca, that wreath is adorable! Twine on a wreath!! Great idea!! Rebecca these pom pom Twine flowers are fabulous! I always love pom poms. What a great way to use the twine! Thanks so much for sharing your pom poms! The hair accessories are great and I have a little girl who will love one! Also love how you nested the twine in the flower centers. Another great idea! WOW ~ that wreath looks like a whole lot of twine wrapping but cool results. Can see why the adorable headbands were a hit. Thanks for the chance to win The Twinery Twine or Makin' Waves collection from Imaginisce!